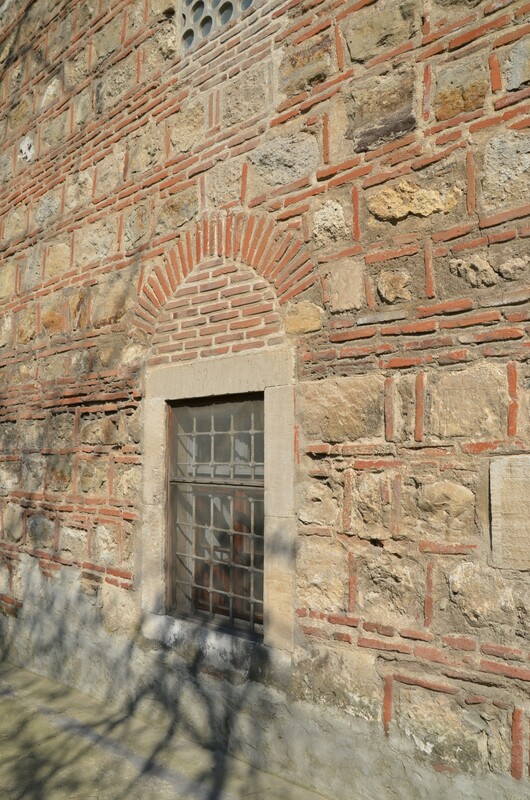 Şahmelek Mosque (tr. 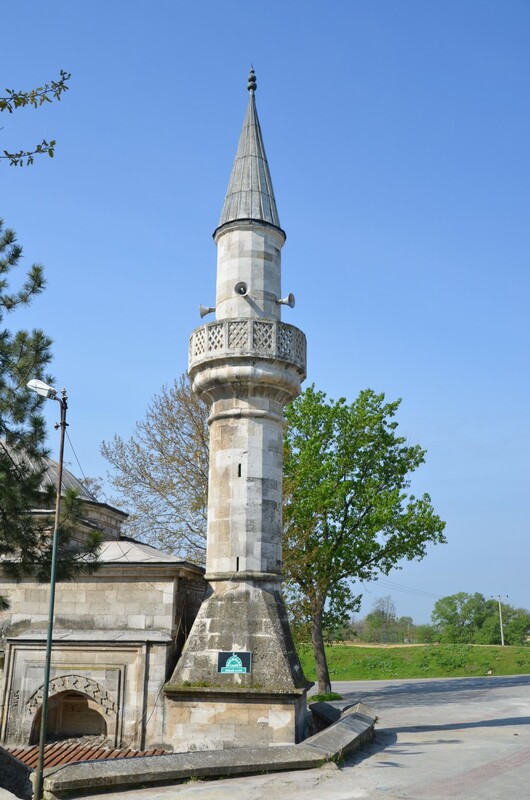 Şahmelek Camii) is one of many historical mosques located in the former capital of the Ottoman Empire - Edirne. 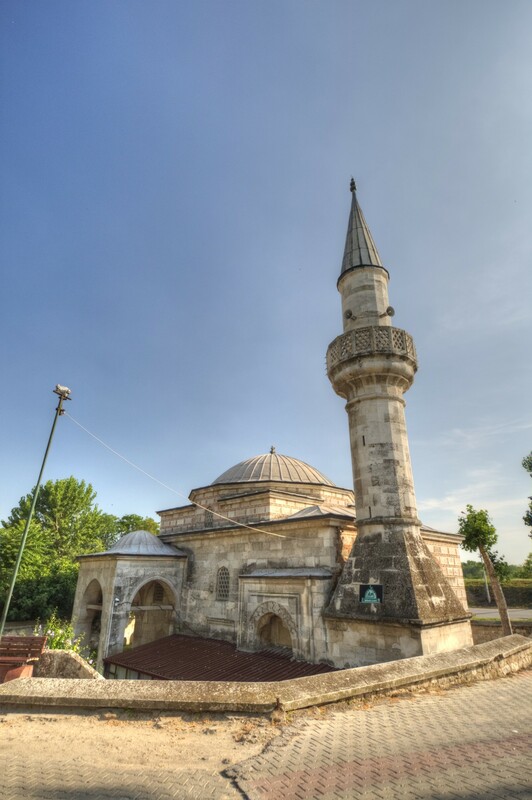 The mosque, erected in 1429, is an important building, representative for the early-Ottoman architecture. 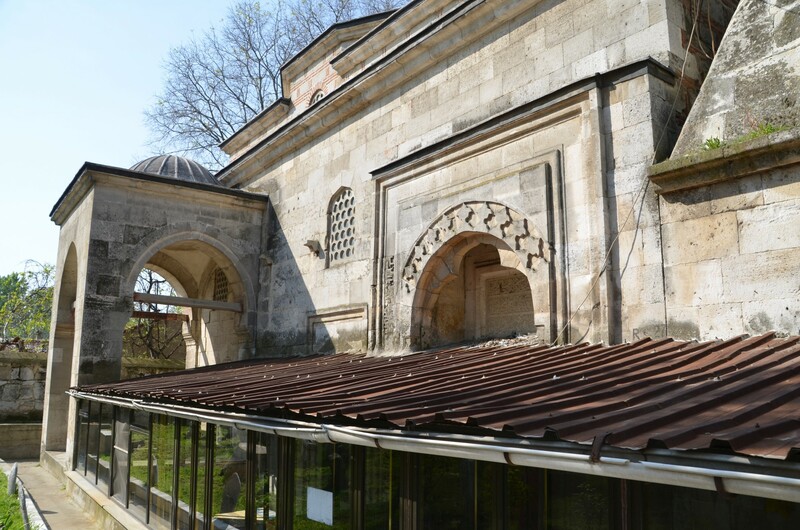 The founder of this mosque was Şahmelek Pasha, a blind man, who played an important role during the succession war between the sons of Sultan Bayezid I. 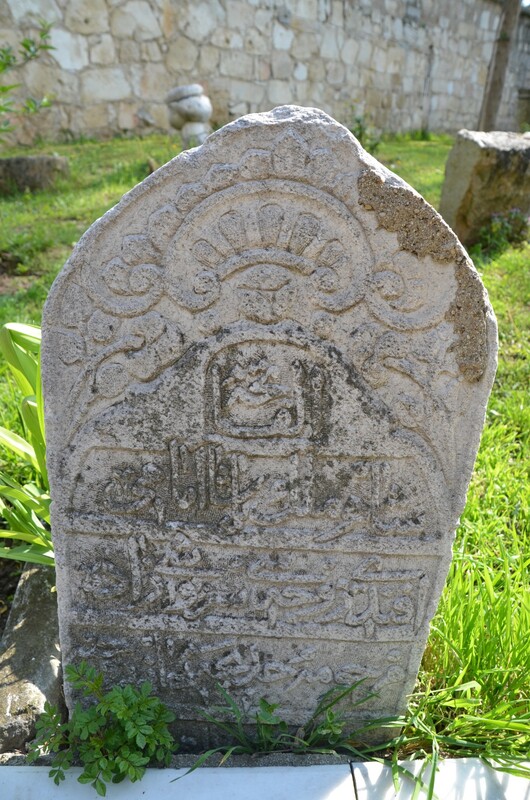 Later, he became an important dignitary on the courts of Mehmet I and Murad II. 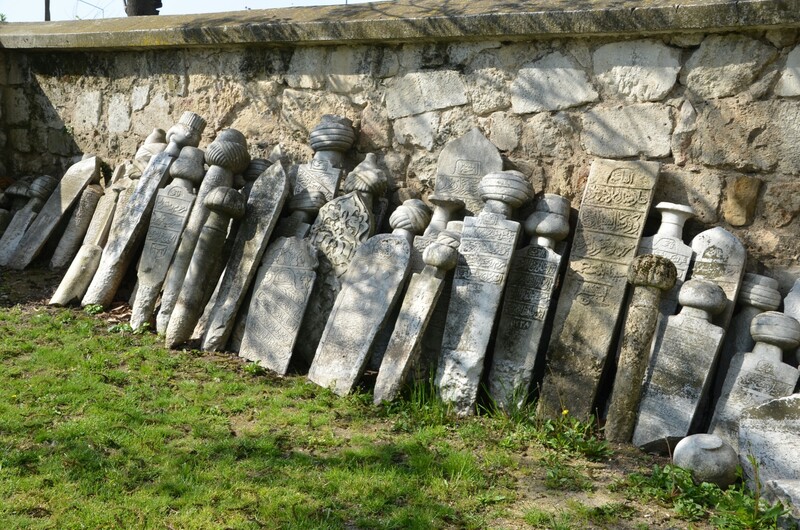 The building was erected of cut stones and bricks. 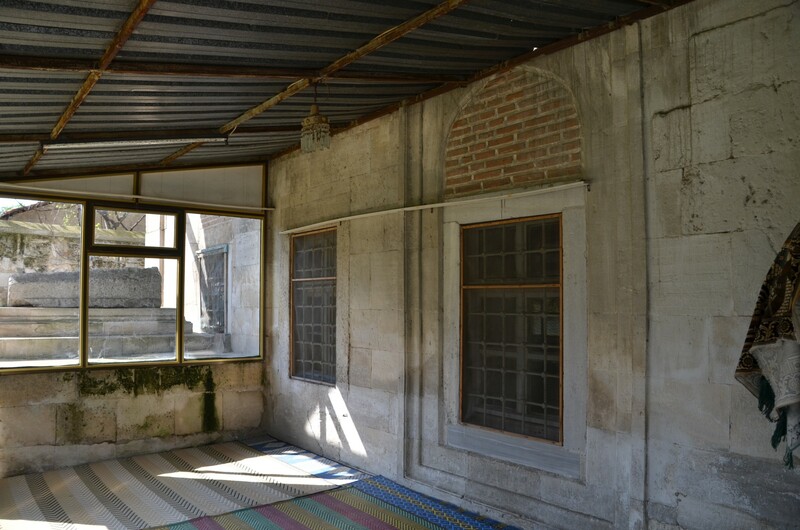 In front of the prayer hall, there is a two-bayed vestibule. 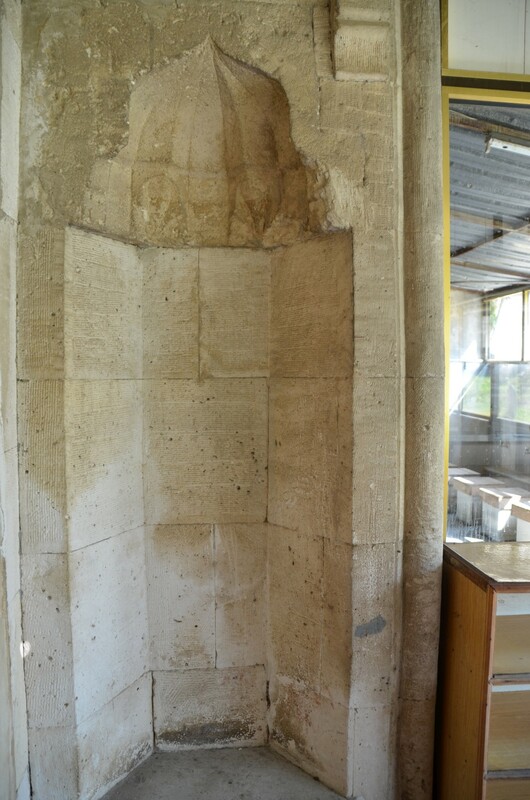 Two doorways lead from it to the inside of the mosque. 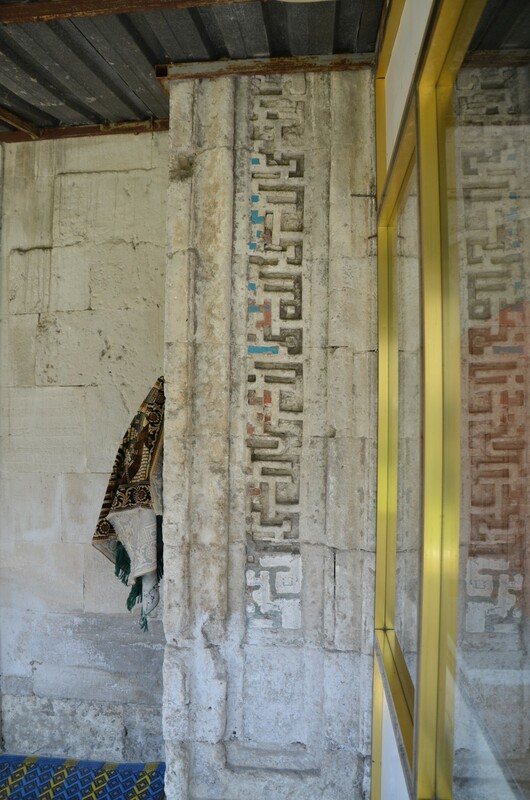 There is a carved inscription over the main entrance to the mosque, and the door is surrounded by geometric motifs. Unfortunately, now the inscription is obscured by an ugly glass and plastic outhouse. 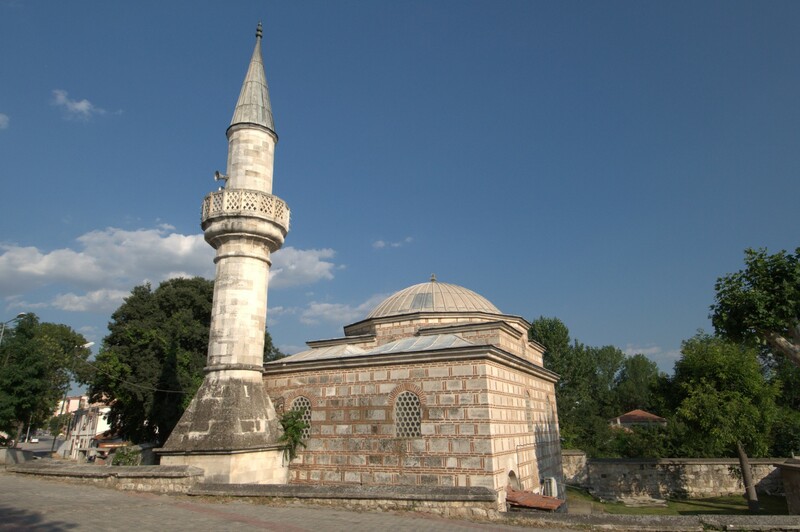 The mosque is covered with a single dome on squinches. 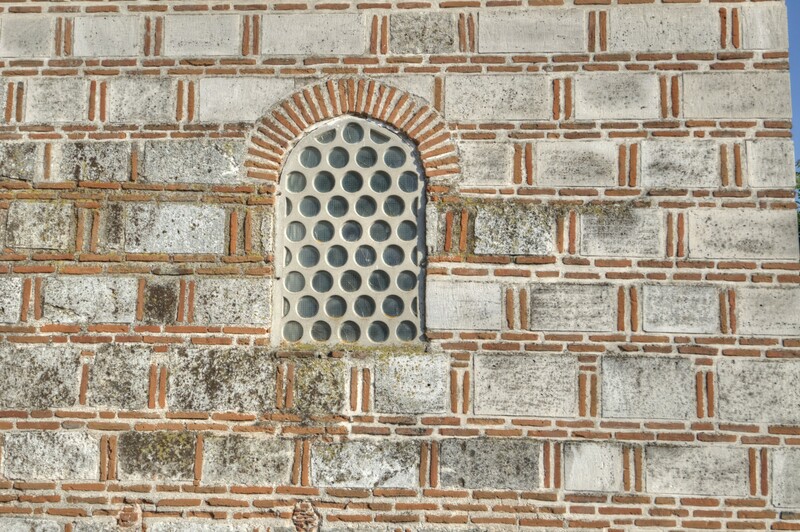 The mosque's plan is similar to the more famous Green Mosque of Iznik. The interior of Şahmelek Mosque is lined with ceramic tiles. The walls are covered with hexagonal and octagonal tiles in turquoise hue, with blue, white, and yellow additions. The decor is complemented with floral motifs. 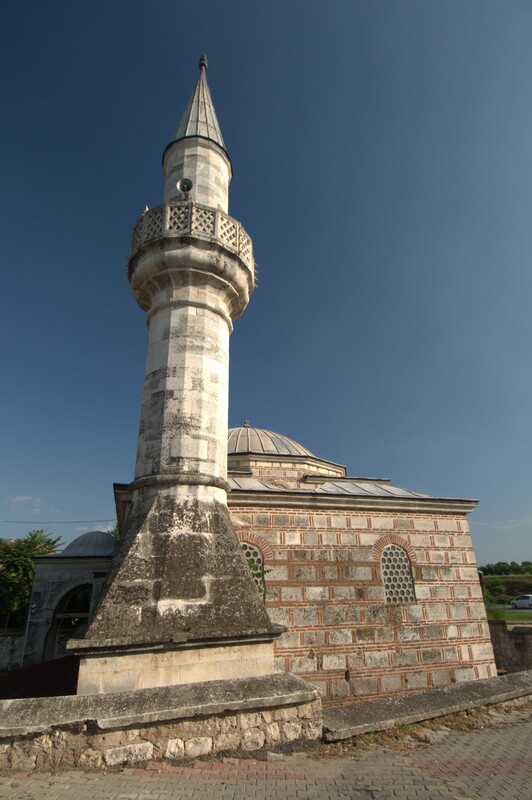 The mosque has one minaret with a single balcony. 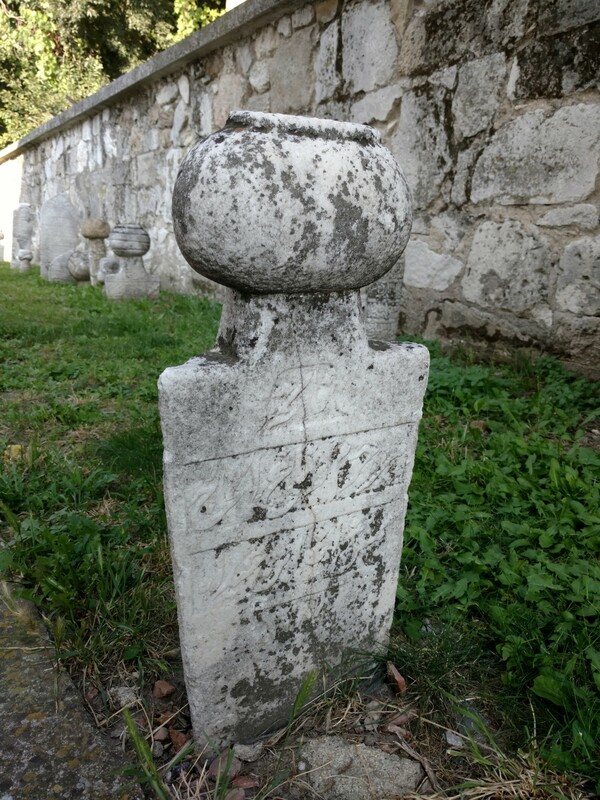 The original minaret was destroyed during the Balkan wars of the early 20th century. The present structure is a result of reconstruction made in the 1960s. 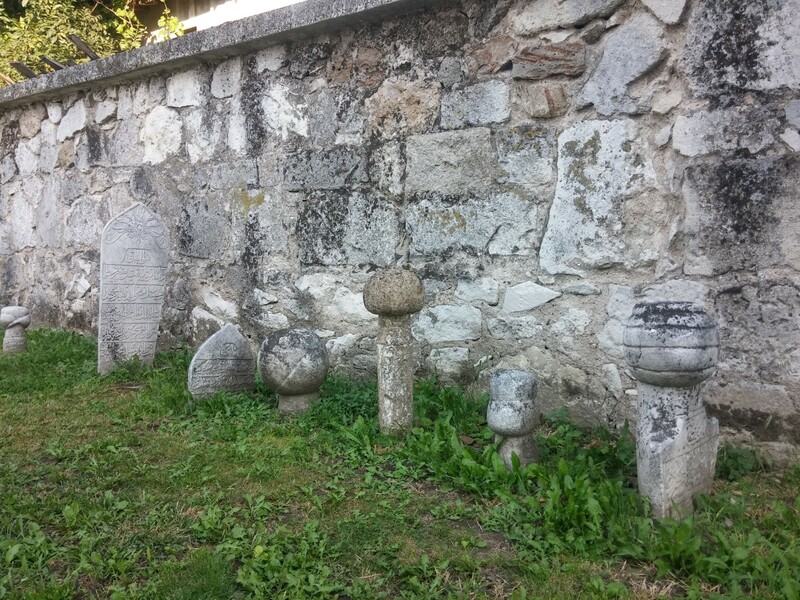 There is a cemetery at the back of the mosque. 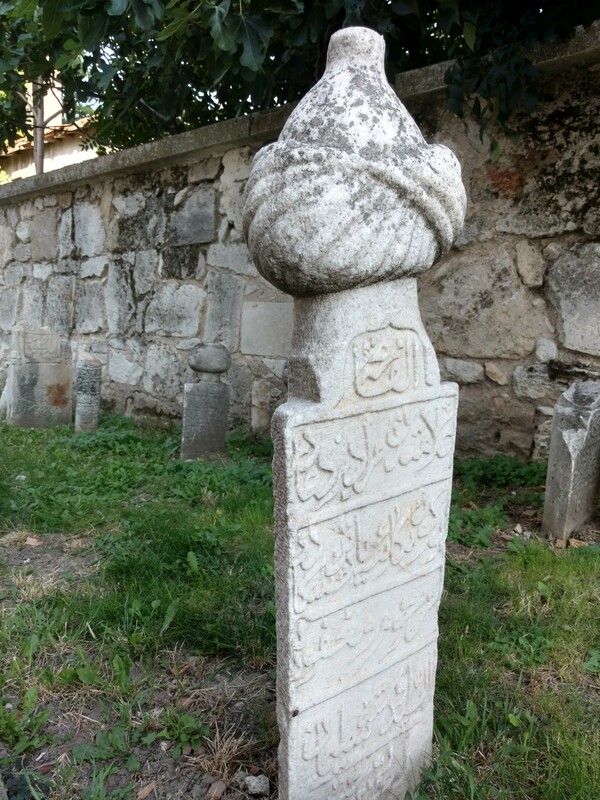 Among numerous tombstones stands the large tomb of Şahmelek, the founder of the mosque. The mosque is usually closed to visitors. 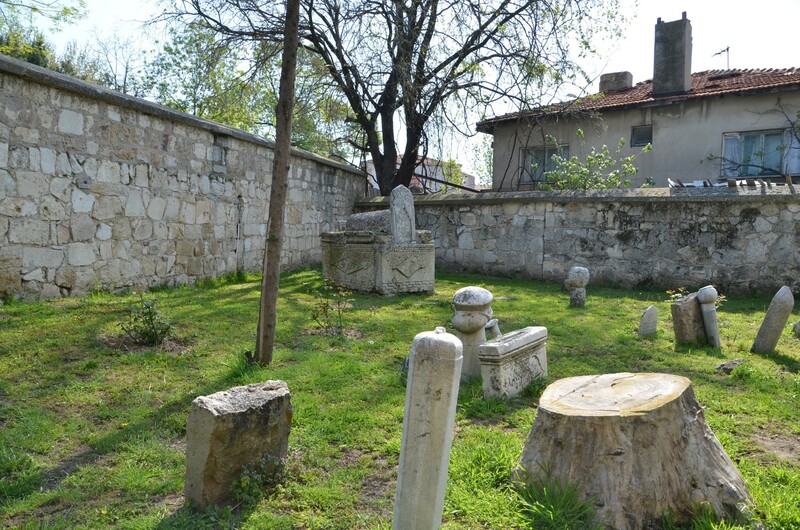 The mosque is located near the Gazi Mihal Bridge over the Tunca River, and opposite the ruined Gazi Mihal Baths. 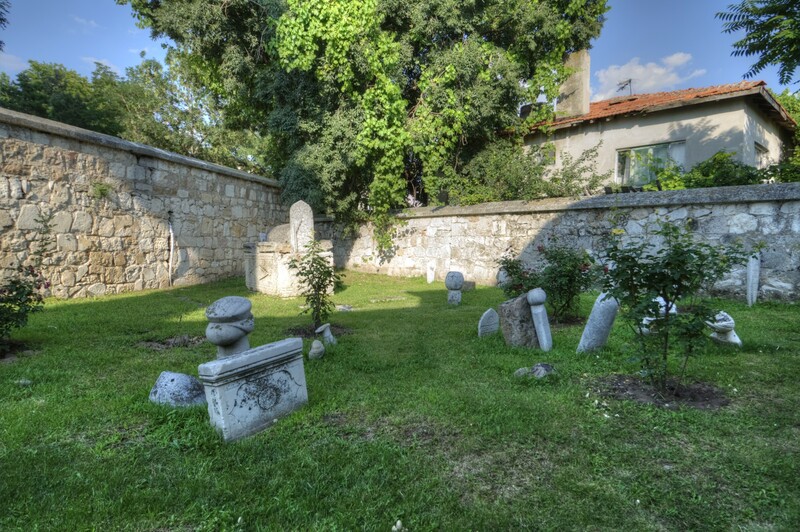 It is easily reached on foot from the centre of Edirne or by car, as it is on route from the Kapıkule-Istanbul motorway to the centre of Edirne.